Jura ENA Micro 1 Review - How Good Is This Bean-to-Cup Model? The ENA Micro 1 is an espresso-only machine with a compact design. While it's great if you only drink espresso or have a small kitchen, it can't produce cappuccino. 3 What do Buyers Say? 4.1 Can the Jura ENA Micro 1 Make Latte? 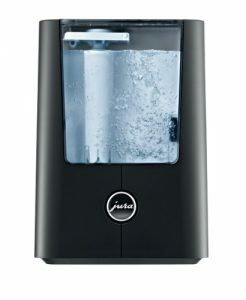 4.2 How Many Water Filters are Included with the Machine? The Jura ENA Micro 1 is an espresso-only bean-to-cup machine with a compact design. It can make espresso from both ground coffee and beans, but doesn’t have a milk frother for cappuccino or lattes. Despite being one of the cheapest Jura machines, it still has a hefty price tag. Does the quality of its espresso justify the cost? Or are there better options for espresso? Let’s find out. The Jura has an interesting sloped appearance. Bean-to-cup machines tend to be bulky due to the grinder, but the ENA micro 1 is one of the most compact with dimensions of 23cm x 32.3 cm x 44.5cm. For comparison, the recently reviewed Gaggia Brera has dimensions of 45.5cm x 33cm x 42.5cm, which is considerably wider. This compact design makes the Jura an excellent choice if you have a small kitchen. It could even be used in caravans or mobile homes. It’s also a highly attractive model. 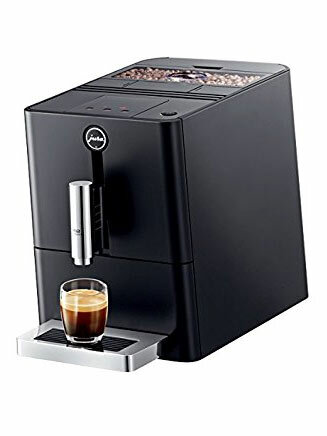 Unlike most bean-to-cup machines, such as the DeLonghi Esam 4000.b, all buttons and controls are located on the top panel. The result is a sleek and stylish front panel that will add an aura of class to any kitchen. Jura takes pride in producing easy-to-use coffee machines and the ENA Micro 1 is no exception. The control panel has touch buttons and an intuitive design. With only five buttons, this isn’t a machine that’s confusing to use. It’s also built with a thermoblock heating system to heat water quickly. A downside to the compact nature of the ENA Micro 1 is that it’s only able to produce one cup of espresso at a time. If you enjoy drinking coffee with another person, you’ll need to run the brewing process twice. To maintain the purity of the espresso, a Jura CLARIS water filter is included with the machine. The CLARIS filter uses a combination of active carbon and ion exchange to prevent unwanted substances affecting the flavour of the coffee. While this is an excellent feature, you will need to order replacement filters which adds to the lifetime cost of the machine (a warning light tells you when the filter needs to be replaced). The water tank is located at the back of the machine, which initially sounds inconvenient. Fortunately, the tank can be removed without needing to move the Jura forward on the work-surface. The bean holder is located at the top of the machine and has a transparent lid. The control panel is simple to use and features touch buttons. Despite its focus on simplicity, the Jura comes with several coffee customisation options to help you brew your perfect espresso. The first is a grind level setting. This allows you to adjust how the beans are ground, which can be useful depending on the type of bean you want to use. There are also options for drink size and coffee strength. Considering this is an espresso-only machine, you would expect the espresso to be top quality. The good news is that it produces a decent – if not outstanding – espresso from both beans and ground coffee. The crema tends to lack both colour and density though. The ENA Micro 1 is an espresso-only machine. It doesn’t come with a milk frothing arm, such as the one found on the Delonghi Eletta, so it can’t produce cappuccino or latte. If you enjoy these drinks you’ll need to buy a separate accessory for milk frothing. It can, however, produce black coffee. The water tank is located at the back of the machine, but can be removed without pulling it forward. One of the great things about the Jura is how easy it is to maintain. The machine includes several programmes for descaling and cleaning. These eliminate the need to clean the brewing unit manually. The machine will even prompt you when it needs to complete its cleaning cycle, which is approximately every 80 switch-ons. The cleaning cycle is comprehensive but does require a Jura tablet. Two of these are included with the machine, but after that you will need to purchase more to keep the machine in top condition. You will also need to replace the water filter once it becomes ineffective. Only one filter is included with the machine, so it’s probably a good idea to buy several before you need them. 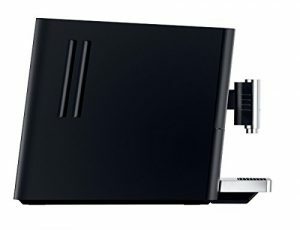 The Jura comes with a “Zero-Energy” switch. This completely disconnects the machine from the mains – but only does so once it’s finished its current operation. It’s also rated “A” for energy efficiency. 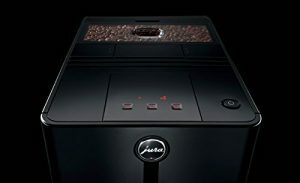 Jura are a premium coffee machine brand, so it’s no surprise the ENA Micro 1 costs upwards of £600 – despite being the younger sibling of the Jura range (the actual price fluctuates depending on time of year, retailer and other factors). We think this is relatively pricey for a machine with only one espresso dispenser and no milk frother. We do, however, think the ENA Micro 1 is one of the best compact bean-to-cup coffee machines. So if you’re short on space, or only want to drink espresso, it could still provide value for money. 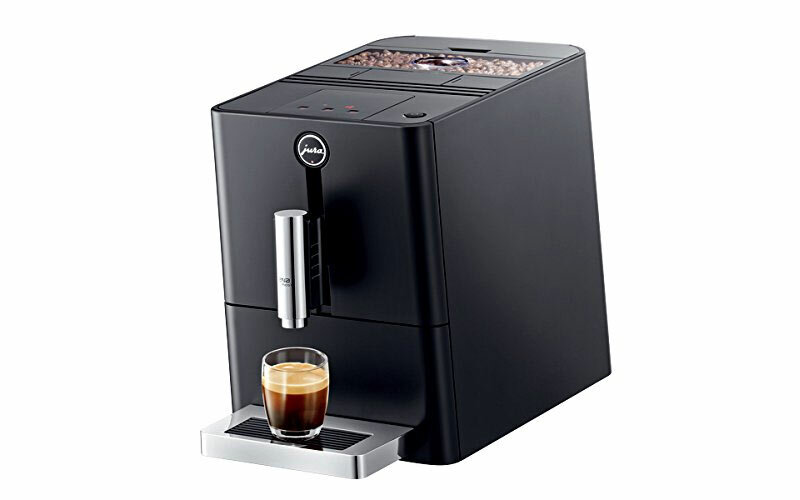 Many reviewers praise the quality of the coffee produced by the Jura. Others like the attractive and stylish design. The ENA Micro 1 is fantastic if you only want to drink espresso, as the lack of milk frothing and other features makes it easy to use. The control panel is simple to use with just a few settings and buttons. The automatic cleaning programmes make maintaining the machine far easier than many other coffee makers. The extra cost of water filters may be an issue, which is why some reviewers in areas without hard water problems don’t use the filters (editor’s note: we always think it’s worth using filters, if possible, to keep the machine in top condition). The 1.1 litre tank might be too small if you drink coffee throughout the day, although this is to be expected from a compact machine. Can the Jura ENA Micro 1 Make Latte? Unfortunately not. The ENA Micro 1 is the entry-level option in the Jura range, so to keep the price down the company don’t provide a milk frothing arm. There are separate accessories you can buy for this though. How Many Water Filters are Included with the Machine? The machine comes with a single water filter. This usually lasts a couple of months before needing to be replaced, although this depends on how much you use the machine. It also comes with two Jura 2-Phase cleaning tablets, which are used during the self-cleaning programme. Other accessories include a coffee spoon, funnel and test strip for water hardness. The Jura ENA Micro 1 bean-to-cup coffee machine is undoubtedly one of the most attractive models we’ve reviewed so far. While it makes great espresso and is one of the best compact machines, we can’t help feel it’s a little over-priced. Even so, if you love espresso and don’t need a milk frothing function, the Jura is a model we recommend. Click here to see its price. Welcome! My name is Ryan Austin, author and founder of BeanToCupCoffee.co.uk. I've created this site to help you choose the best bean-to-cup coffee machine for your budget - and to avoid poor quality products. To get started, click the reviews section or read more about the site here. 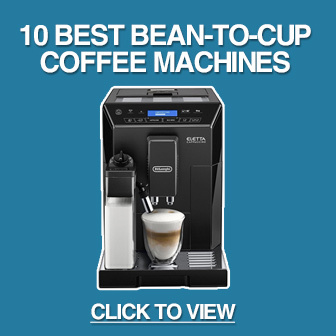 BeanToCupCoffee.co.uk is a participant in the Amazon EU Associates Programme, an affiliate advertising programme designed to provide a means for sites to earn advertising fees by advertising and linking to Amazon.co.uk. While we do our best to provide accurate information, we cannot guarantee the accuracy of reviews, prices or special offers. We are not responsible for the actions or products sold by our affiliate merchants. Click here to read our full disclaimer. © BeanToCupCoffee.co.uk 2016. All rights reserved.